The product name is confronting, but so is the pong of cat pee. And when it comes to pet urine odour, we don’t pussyfoot around. Piss Off! has revolutionised the removal of pet urine odour by absorbing the smell rather than masking it. So you’re not swapping one overwhelming smell for another one – you’re eliminating that particular pet fragrance forever. AND it works on all animal odours – not just cats! This product is appalling! 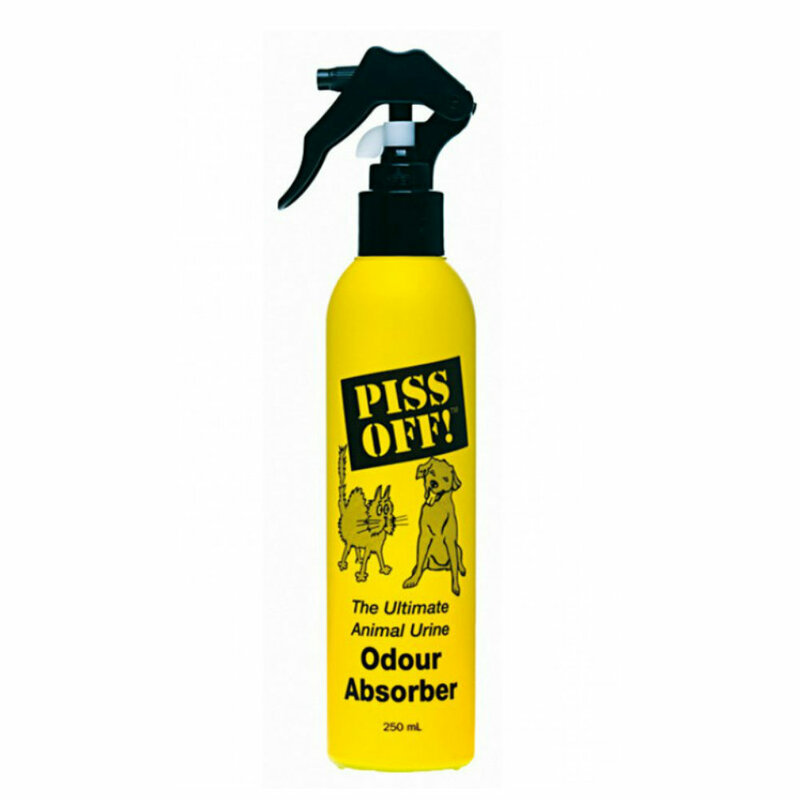 Cat pee odour is a dream compared to the revolting stench of Piss off! Don't waste your time or money and save yourself from throwing up. Seems to work removing the urine and stain, but leaves a sticky residue behind that you can feel walking over it.